Friday we went to the Hub’s grandparent’s house for the very last time. The Hub’s grandmother has been a widow for a few years now and she’s moving from the home she and her husband built 60+ years ago in NY to FL to be closer to her son and his family. It’s a great move for a lot of reasons (and a huge relief to those of us who worry about her, especially in the winter), but man- saying goodbye to her and that home was hard. We’ll see Gram again in the Spring, but we won’t see that house again. I’ve only been a part of the Hub’s family for 17+ years and I have so many memories in that house. Walking the land, family dinners, Scorch’s first Christmas Day dinner, wrapping paper fights, and on and on. I can still see the Hub’s grandfather at the head of the table presiding over the meals with his gigantic hands folded in prayer. As sad as I am, I’m so thankful for those memories all built in that small house on a country road. The kids are at the age that most Saturdays are devoted to sports- practices, games, clinics. Regardless of the time of year, we’re doing something athletic. This past Saturday involved 2 hours of back to back games (one for Bean and one for Scorch) which are always enjoyable – but they are made even more so by the fact that, thanks to living in a small town, we know so many people there. The Hubs coaches and, frankly, watching athletic competitions between 7 and 9 year olds doesn’t require a lot of brain power so I was super thankful for friends to talk to, making the time pass by much more quickly. 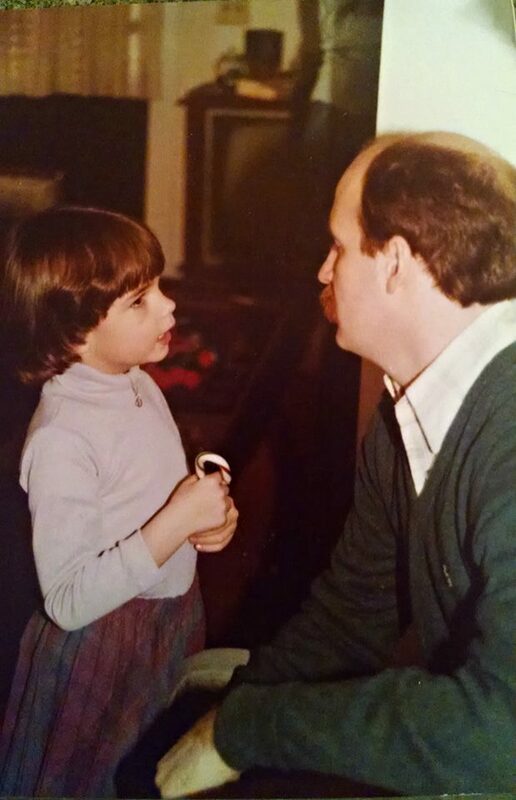 My father’s birthday was earlier this week and I’m thankful for him all the time because he’s awesome. Dad- thanks for being loving and supportive and tough. Thank you for expecting the best from us and loving us when we didn’t always measure up. Thanks for learning sports just because we played them and introducing me to new music. Thanks for being the best Papa around and loving the kids madly. We are thankful for you each and every day even if you do sneeze louder than anyone else on earth! Last night Scorch had math homework that he needed help on. And I *could* help him. That doesn’t happen very often, so I’m thankful for a module of 4th grade math that doesn’t make me feel like a freaking idiot. Never mind. Scorch brought home math today that I had no idea how to do. Then I figured out how to do it, but I had no idea how to explain to him. Very thankful my best friend is a Math teacher who is willing to text me the answer and links to sites to help us out.